Scott Hsu moved to Los Alamos in December 2002 for a position at the Los Alamos National Laboratory (just in time for ski season)! He grew up in California doing a lot of hiking and inbounds skiing in the Sierra Nevada, but it wasn't until he moved to New Mexico that he started climbing and backcountry skiing. 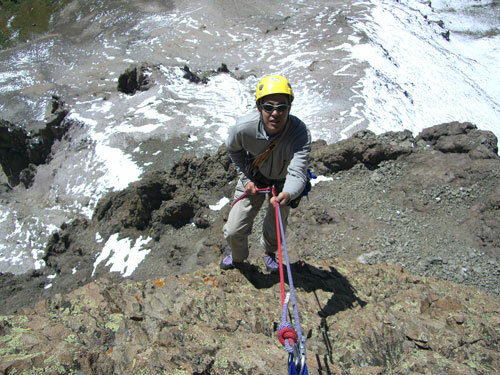 In 2003 he enrolled in the LAM climbing school, and joined the Pajarito Ski Patrol. He quickly started exploring the local backcountry skiing and climbing venues, and in 2004 he met Amy Bauer (now his wife) who became his most frequent skiing and climbing partner. Together they have climbed over 50 high peaks in NM, CO, and CA, including many alpine technical climbs and ski descents (their two favorite mountaineering activities). Scott is a National Ski Patrol certified Avalanche Level 1 Instructor and an Alpine Senior Patroller. He learned how to telemark during the 2005/2006 ski season and now only occasionally breaks out the alpine skis. Scott owes a great debt to two local friends, David Gardner (a Taos ski instructor) for being a great ski coach, and fellow LAM member David Rogers for being a wonderful climbing mentor. 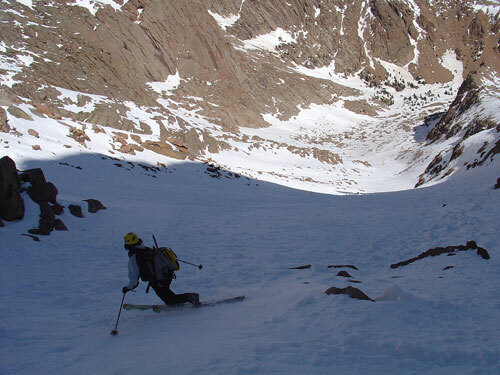 In his spare time, Scott enjoys working on his "New Mexico Backcountry Skiing" webpage. You can also find many of his CO trip reports here. At the Lab, Scott is a Scientist in Physics Division working on fusion energy research. A dream since he wrote a 7th grade book report, he hopes to live to see the day that fusion puts power on the grid.